Successfully Added Solar Powered LED Flood Light-Courtyard Lamp,Lawn lamp,Weatherproof，IP65,72pcs Super Bright LED to your Shopping Cart. Solar Powered Flood Light with 72 bright LEDs offers enhanced home protection and peace of mind. Powered by the sun, this flood light offers wire-free installation and energy-saving security that works great in remote or difficult to access locations such as sheds, rooftops, detached garages, and other outdoor buildings. Made out of durable ABS plastic, this compact Flood light offers long lasting defense against the elements of nature. A perfect security device for illuminating dark alleys and sidewalks or patios and keeping unwanted visitors away. Easy to install, this Flood light doesn’t need any kind of electric wiring. Secure it in a desired location using the included mounting piece and make sure the 3.5W Polycrystalline solar panel is pointed toward a sunny area to ensure maximum solar charging. After approximately 8 hours of charging, the LED Flood Light can shine another 8 hours. 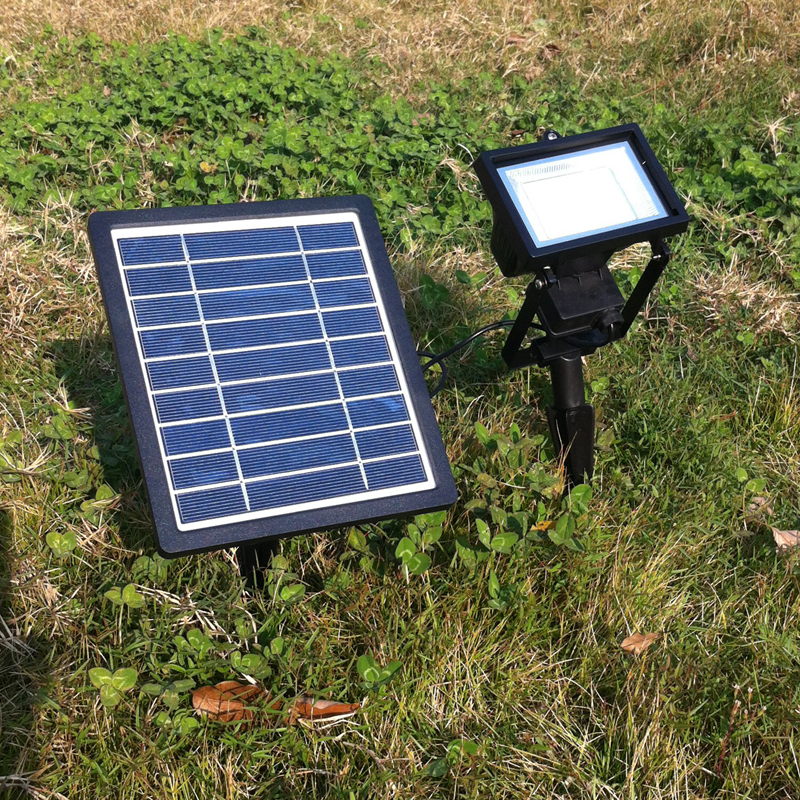 The Solar Powered Flood Light is a useful addition to any outdoor security system. Brought to you by the leader in wholesale outdoor gadgets, ChinaVasion.